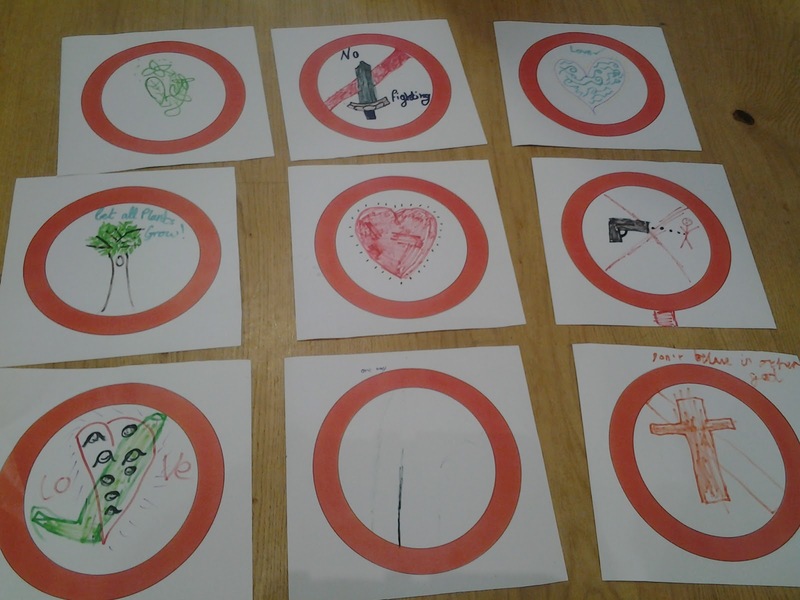 Here are some ideas for helping children to connect with the Lord’s Prayer. 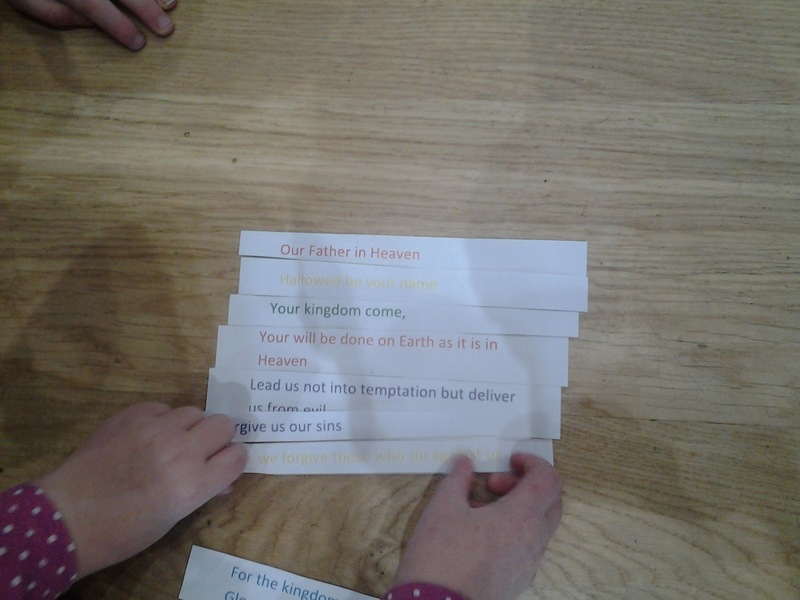 Lord’s prayer ordering game– How well do you know the prayer? 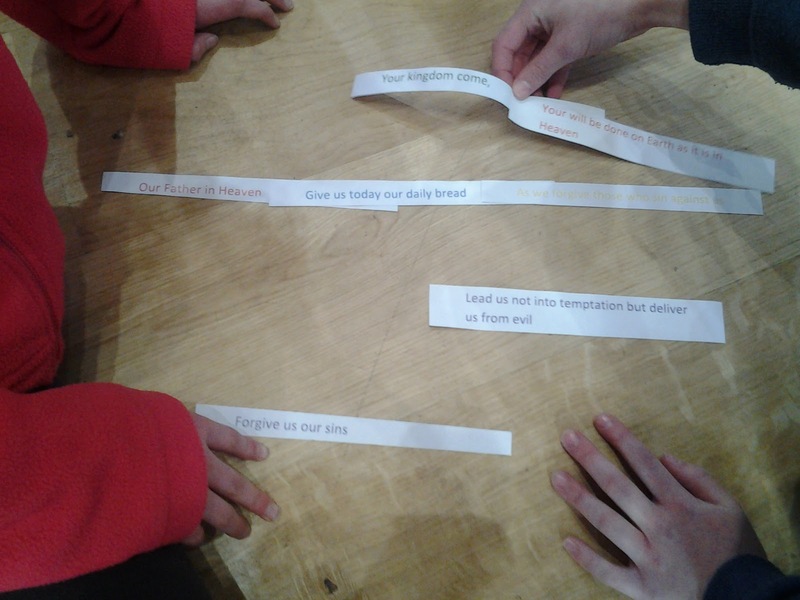 Prayer printed out and cut into strips, mixed up so they can be put in the correct order. We made this a race! ‘Hallowed be your name’: Play names of God dominoes, exploring the different names and characteristics of God. Click here to print out the dominoes. ‘Your will be done on Earth as it is in heaven’: Talk about road signs in this country- triangle signs are warnings and circle signs are orders. If God made some order signs to show how He wanted people to live, what would be on them? Let children draw them in the circles.